Zucchini plants are so lovely. They require next to no care and they just give and give. I happen to be a fan, so I'm cooking a lot of zucchini right now, and I thought I would give Zucchini Brownies a try. I have to wonder who the first person was to put zucchini with chocolate. It seems such an unlikely combination. It works, though! I have a recipe that I love for chocolate zucchini walnut cake but this time I wanted brownies. Smaller bites. Less formal. In addition, I wanted to cut back on the number of gadgets used and bowls to wash. I was only semi-successful with that quest. Obviously, the zucchini had to be shredded. That meant involving the food processor. Hmm. How to use only the food processor and not the mixer? Feeling inspired, I mixed all the ingredients except the zucchini and chocolate chips in the food processor and let it run for about five minutes. It worked beautifully! Next step, shred the zucchini. Uh oh. This was not the perfect order in which to use the food processor because I had to take out the covered-in-chocolate blade and add the shredding blade. In addition, if you're going to shred extra zucchini for later use, this isn't ideal because it will have chocolate remnants on it. So my recommendation is to shred the zucchini first, pour it into a large bowl, wipe clean with a paper towel, swap blades, and then deal with the batter. It required an extra bowl for mixing everything anyway, so I'm not sure my plan really succeeded in reducing dirty dishes, however, the batter was gorgeous. Originally, I thought I might add a fudgy frosting. But when it came out of the oven and we greedily tasted the warm brownies, we didn't think they needed anything else. After refrigerating them, I personally thought they were better at room temperature. If you want to dress them up, you can serve them cut large for dessert with a drizzle of chocolate (definitely for chocoholics! ), or a drizzle of raspberry sauce, or a dab of whipped cream or ice cream. Or be very simple and very chic by simply dusting with powdered sugar. Preheat oven to 350. Grease a 13x9 baking pan. Place the shredding disk in a food processor and shred the zucchini. Place in a large bowl. Wipe the processor bowl and switch to the sharp processing blade. 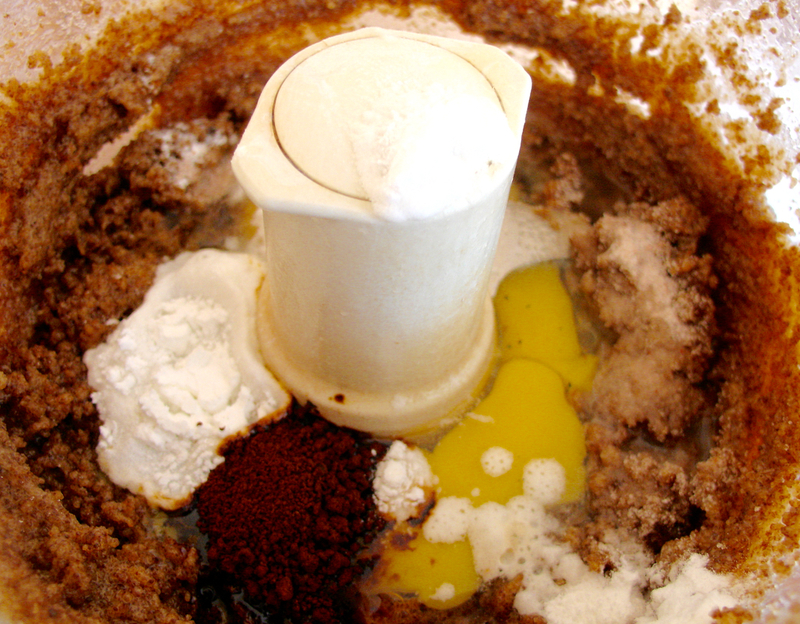 Add the sugars and butter to the bowl and process about 2 minutes until combined. Add the eggs, coffee/espresso, vanilla, baking powder, baking soda, and salt. Process about 4 minutes. 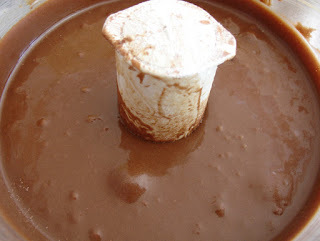 Add the cocoa and the flour. Process, scraping the sides as necessary, until thick and smooth, about 2-3 more minutes,. Pour over the zucchini and add chocolate chips. Stir together until combined. Pour into baking pan and bake 20 minutes. Cool on a rack. Who would think zucchini would go with chocolate? This is almost a dump recipe! 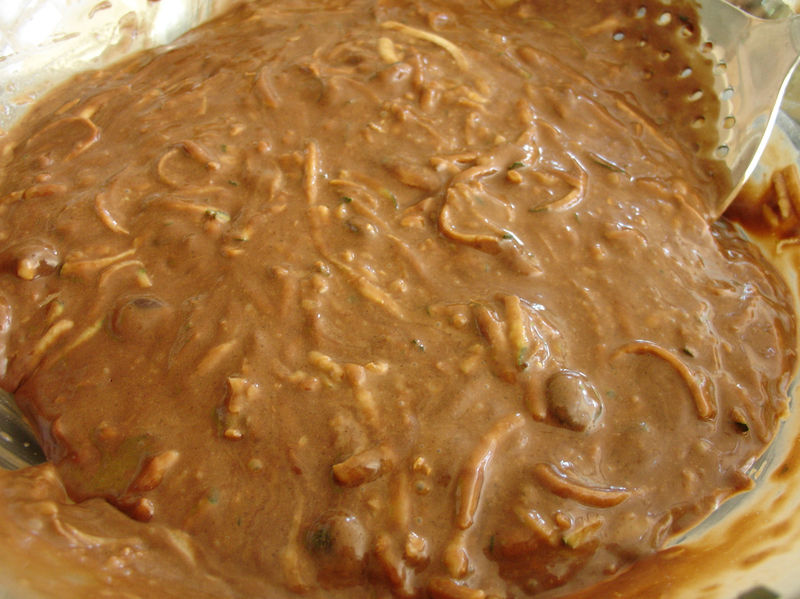 Mix with zucchini and chocolate chips. 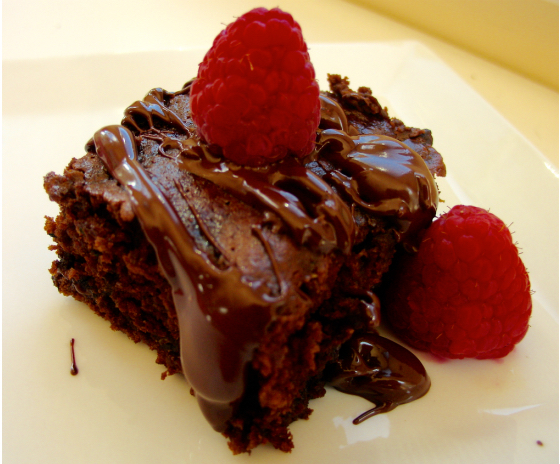 Dress up with a drizzle of chocolate. If it's 90+ degrees, serve with ice cream! 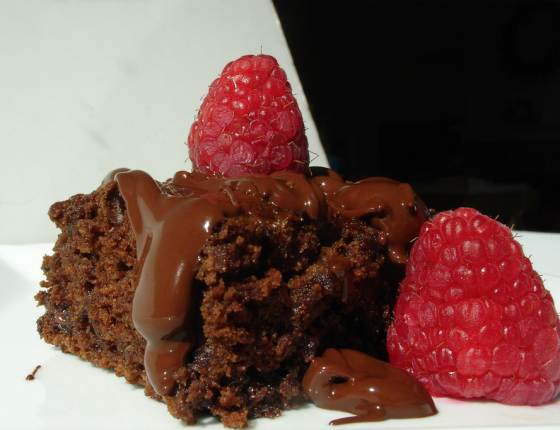 A great way to use an overabudant zucchini crop, and to make brownies "healthier", lol. These brownies sound good. I just had to pull my zucchini plant because a squash borer ate through the stem. But I replanted so I should have more zucchini by the end of August. You get a second crop? That's wonderful. I hate those borers. I lost two of my plants this summer. Not sure why. 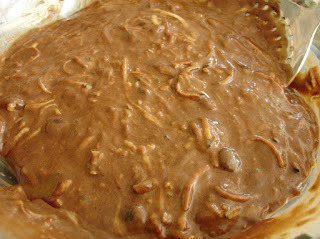 Your comment about shredding zucchini after mixing the chocolate batter made me laugh--now I'm picturing Chocolate Zucchini Quiche. That's quite a switch! Bakery to motorcycles? LOL! Now there's a cozy hook no one has used. The motorcycling baker! We work hard at imagining what you might have on hand, Nicole! Fresh blackberries are such a treat. And a scoop of ice cream in this hot weather? Yum! And Sheila, a motorcycle shop? Too funny! Our garden is late, too, Leslie. We had a little cold snap in mid May that slowed it down. We're still waiting for our tomatoes to ripen. I planted corn this year and am so excited. Cross your fingers for me! I hope it will yield something edible. I hope you enjoy them, Mary Jane! 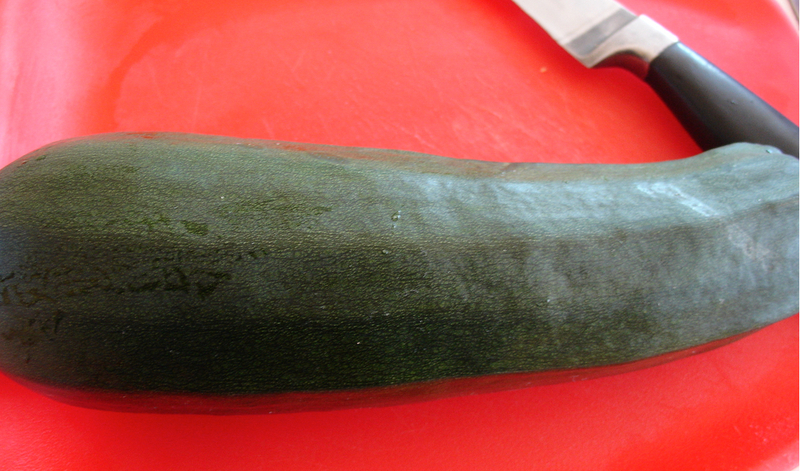 Like carrot cake, the zucchini adds great moisture. This could be a great way to get my family to unknowingly eat zucchini, much like I do with black bean brownies. I only have a tiny food processor, so I use my handy hand grater a lot... otherwise I would probably do the same as you by mixing the rest of the ingredients first! Thanks for sharing your recipe and your tips!